It just loads forever and then my Pc does not respond. My Computer should handle this neat game. hmm strange sorry to hear that, how long have you left it loading? UGH how annoying! Can you please tell me your system specs / OS etc? Feel free to mail me at mgfm.games@gmail.com // happy to do a refund too. This seems like an amazing game! Can I ask what engine you used to make this? Amazing game. Like N+ meets Asteroids. ): I feel bad for you, I got the game when the giveaway was happening and it is good! I love minimalistic arcade games like this. And I loved how this one introduces new gameplay mechanics all of the time. The art style was great and the music fitted well. I would definetly recommend this game. Hey this is great thanks for making it! do i get a steam key even though i got it free? Afraid not, the Steam key only applies to purchases. ): At least I get it on itch for free. I am kind of sad I did not get a Steam key but I do not want one, it is ok.
Hello, did you purchase the game? The Steam key is only issued for games purchased (at any price). I dont know. where add to steam key?? Thank you for the giveaway from our community! Hey. 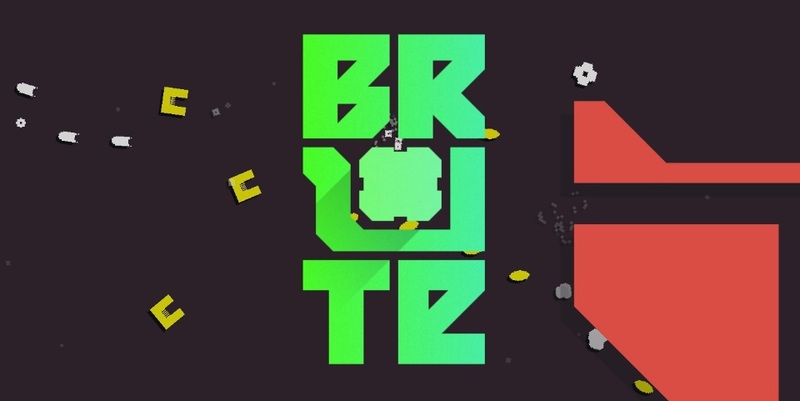 I just got Brute, and it's awesome, but it's losing my progress. Sometimes I can close down the game, restart it, and there's no problem, but twice now when I've started it up again after a while, I'm back to square 1 (literally). hmm sorry to hear that, how are you closing the game? The X in the menu has warnings that it will delete the save if pressed , and pressing it does close the program maybe that's the issue? :s sorry if so, the menu could be a little clearer... if this isn't the issue please let me know. Escape at the menu will close the game normally. Yeah, I guess I must have pressed the clear save button by mistake, though that's hard to believe. I swear I shut it down normally (pressing escape) then started it up later and the progress was gone. But I've been fiddling around trying to reproduce it and it's been working fine. False alarm I guess, sorry! It's a great little game. I'll admit I wasn't too impressed at first, but the levels get better and better, and repeating them to go for a high score is a lot of fun. And of course the sounds are awesome, and the "game feel" stuff is spot on. Blowing away hordes of those boomerang things is so satisfying. that's really fantastic to hear thank you, very glad you are enjoying it :) glad the issue seems to be fixed pleaser let me know if anything changes. This game is bare knuckle brutal - hence the name. But addictive at the same time always making you want to try it out just once more. Definitely one of the better games I've played in a while.